Natural stone has been used in the construction industry for centuries. Marble is one material that is common in a number of settings and has a unique, luxurious look. It makes an ideal tiling material and is easily installed on windowsills, floors or walls. Travertine is another stone that is common in homes and commercial buildings. Travertine is a form of limestone that is commonly found in hot springs. Because natural stone is impervious to water, it is ideal for areas that are prone to moisture. The surface resists water penetration and ensures protection of the framing material that is behind the stone. Homeowners have several different choices for their stone building materials. Marble is one choice, but travertine window sills are another great product. Stone window sills are a great choice. They are one of the most luxurious products on the market and are far superior to other common building products. Wood is used for window sills, but it requires regular maintenance and does not look as good as travertine or marble. In addition, wood has a tendency to change size and shape with moisture and temperature fluctuations. For this reason, stone is a preferred material. It stays the same size and imparts a unique look to the finest home. Each piece of stone is naturally occurring, and no two window sills look the same because small variations are found in the color of each piece. Thresholds are another common area of the home that is perfect for travertine or marble. The stone thresholds serve two purposes. They add to the looks of a home and serve as a transition piece between two types of flooring. This is an ideal way to switch from a marble or tile floor to wood or carpet. The thresholds are commonly found in several standard widths, or they can be custom cut at the factory. This reduces any chance of making mistakes with the sizing in the home. The products come in a variety of colors and styles as well. Marble is a choice material for window sills, and it offers a number of benefits. Marble is a mined rock that has been used for centuries. It is prized for its beauty and is common in sculptures and other works of art. Marble is formed from calcium, limestone and a number of other minerals. Different mineral compositions are one of the reasons for the unique look of each piece. When the material is formed, it can take on a red, pink, jade or white hue. Marble actually absorbs light into its surface. This creates the waxy appearance that makes marble a choice material for high end homes. Natural stone window sills are impervious to water. This makes them ideal for any areas of the home, but they are especially good in kitchens and bathrooms. Many windows are also subject to high moisture, and marble or stone will last for years with little maintenance. Marble does require some maintenance, but it is much less than wood. A regular sealing goes a long way towards protecting the surface and ensuring that the colors stay fast. Natural stone will also hold its look for years. The surface is incredibly hard and resists scratches, dents and dings. Homeowners have a variety of choices for the cut and style of their natural stone window sills. Factory produced sills are readily available, and they can be installed by a professional contractor or a handy homeowner. Because the material is cut at the factory, there is no need to make cuts at home. The material is simply installed in place, and the edges are sealed. The natural stone should be sealed, and there are plenty of easy-to-use sealants readily available. These are applied with a rag or paint brush. Natural stone is a common building material and has been used for centuries. It is incredibly durable and offers a number of benefits. -Impervious to water. Natural stone features a compact structure that makes it naturally water resistant. Unlike wood, stone never rots or degrades due to moisture. -Unique appearance. Stones are individual, and each piece looks unique. Marble and travertine come in several different colors and shades. -Durable. Stone is incredibly durable and lasts for centuries when it is properly maintained. -Luxurious. There is simply nothing as luxurious as travertine or marble, and these items will look great in a window sill or threshold. Stone is a great material, but there are a few disadvantages. The material is more expensive than wood, and it does require maintenance. 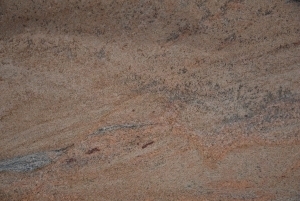 -Natural stone and marble are accepted as high end products and can be more costly than alternatives. -Stone needs to be sealed on a regular basis. -Marble and travertine are hard and can be scratched relatively easier. Travertine is a natural stone that is perfect for window sills. It is like marble and highly resistant to humidity and temperature changes. 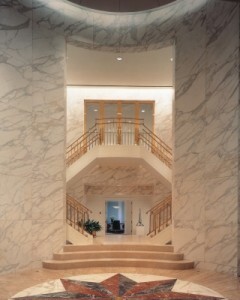 Each piece of travertine is unique, and custom cuts are available. A number of different finishes are also found, and homeowners are sure to find a travertine window sill that is perfect for all of the windows in their home. Marble is another natural stone and works great in window sills. Marble window sills may have a white, pink or blue tint, and each piece has its own unique pattern. There are also small differences in the marbling or spotting in each sill, and homeowners are sure to enjoy the luxurious feel of a marble windowsill. Choosing natural stone window sills is a great way to add value and aesthetic appeal to your home. Stone is more durable than wood and performs great in high humidity conditions. For this reason, it is one of the choice materials for windows in a kitchen or bath. The material complements stone or tile floors and will add to your home’s value. Stone is built to last and is a durable choice. We, as STONEXCHANGE, offer natural stone window sills in a variety of shapes and sizes.